Minimal order quantity for this item is 1. Article | An Online Tool Built for YouWe have many unique time-saving tools built specifically for you. The Centrix 20 cu. ft. 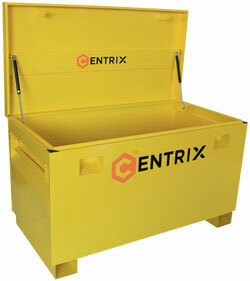 Storage Chest Job Box is built to securely store tools on the job site. 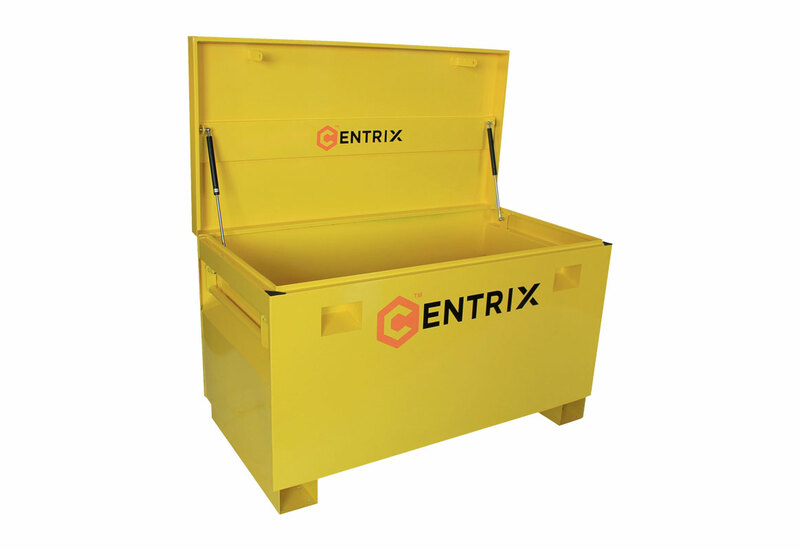 Made of all steel construction and entirely coated in yellow enamel to protect the job box from moisture, dirt, rain and snow. The lid has two lockable connection points on the front of the box that are recessed and suitable for large padlocks. This job box measures 24.2"d x 60"w x 28.3"h and can contain 20 cu. ft. worth of tools. The bottom of the box has two feet that are compatible with forklifts for easy maneuvering of the job box. There are also two fold-out handles on either side of the job box for manually moving the box. In the style of a chest, the lid is flat and can hold extra weight if needed to help deter theft. In the style of a chest, the lid is flat and can hold extra weight if needed to help deter theft. There are a series of predrilled holes on the feet to make it easy to bolt this job box to the ground or other surfaces.